IELTS has been my career for over a decade now. In my many years of working with the test and instructing students on how to prepare for it, I’ve noticed that all of my successful students share three characteristics. Try to incorporate these habits into your own life for IELTS success. Improve your reading skills (of course!). Improve your range of vocabulary. Get impressive and unique ideas to speak and write about on exam day. Don’t be afraid to speak English, with native English speakers and other students. Listen and watch like native English speakers. This means you should watch TV shows and movies (especially movies!) that are made by and for English speakers. Read native speaker reading material, not just textbooks. 3. They prepare for IELTS as if it were their job. Devote 2-4 hours, 5-6 days a week for 1-2 months. Have a schedule for your practice. 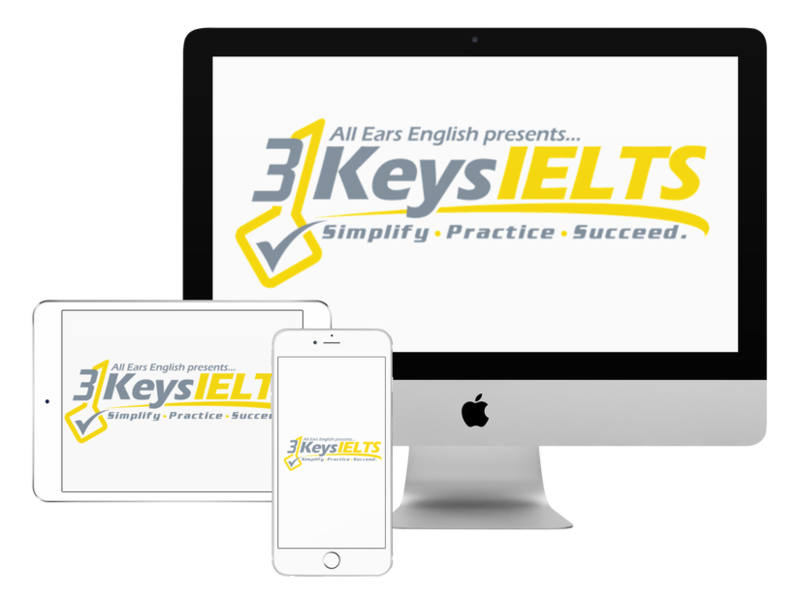 In our online IELTS course, 3 Keys IELTS, we tell you exactly how to prepare for the highest IELTS scores. We have 30 day and 60 day study plans that structure your practice, so you don’t waste time or money.